ART-Sport There are 12 products. 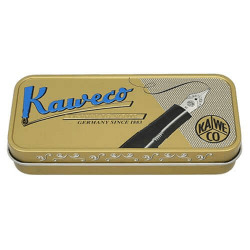 The model Kaweco ART Sport is made of resin of different colors with marble finishes and hand polished. They were of limited edition and we have obtained some units for our clients. Stainless steel nib with gold or chrome finish manufactured by Bock. Closure by octagonal screw cap. Load by cartridge or Kaweco short converter. Inside the metal box, the pen is included with a cartridge inside. New and Available! Kaweco ART-Sport Milk & Coffee Orange Fountain Pen Free Shiping! New and Available! 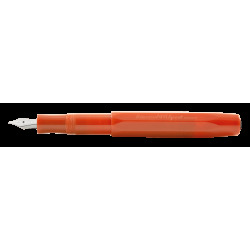 Kaweco ART-Sport Perlmutt Orange Fountain Pen Free Shiping! New and Available! 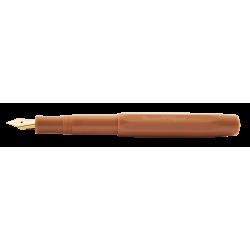 Kaweco ART-Sport Tiger Eye Fountain Pen Free Shiping! New and Available! 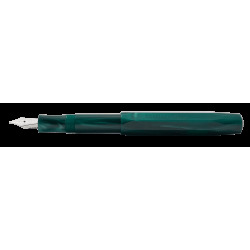 Kaweco ART-Sport Metallic Turquoise Fountain Pen Free Shiping! New and Available! 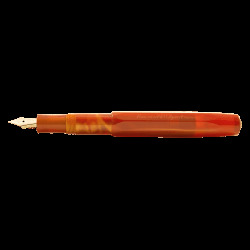 Kaweco ART-Sport Coral Fountain Pen Free Shiping! New and Available! 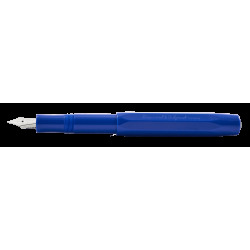 Kaweco ART-Sport Real Blue Fountain Pen Limited Edition Free Shiping!